You may have set aside a healthy budget for purchasing your new home, including enough to cover the cost of inspections and closing fees. However, have you thought about how much maintenance and repairs will cost after you buy a house? 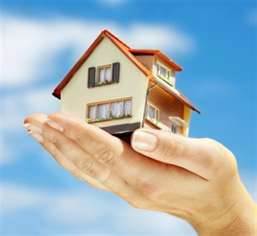 Owning a home can be more economical than renting, and provides you with a valuable asset. Yet covering unexpected breakdowns can add up to thousands of dollars per year. Reduce the cost of household management by undertaking regular structural maintenance. Although maintenance involves a small initial investment, it can prevent a larger breakdown in the home down the road. Choosing the right roofing material can add years to your roof's lifespan. Asphalt shingles usually have a shelf life of two decades, but stronger materials such as copper or slate will last for fifty years. You can avoid costly roof repairs by using these types of materials. Maximize your roof's lifespan by coating it with waterproofing materials, and avoid walking on the roof unless necessary. The less pressure that is put on it, the stronger it will remain over time. Your HVAC system is another area that could be prone to breakdowns and maintenance fees. When you purchase a new home, you should make sure that it comes with a new heating, ventilation, and air conditioning system. When new, HVAC systems should theoretically last for 25 years. However, without regular maintenance, they may only last for 10. To avoid the major expense of installing an entirely new system, take care of your boiler with annual maintenance. These should be cleaned every year to prevent build-up and to catch any problems at an early stage. You can also change the filters in your air conditioner and heating units on your own, to keep them in clean working order. This simple act alone costs very little money and can save you the expense of a more thorough cleaning or replacement later. Whether you have purchased a home or live in rental properties, you'll want to take the local climate into consideration when managing your household. You can avoid the high cost of water damage if you prepare for it in advance before the rainy season starts. Clear blockages from your gutter to prevent rot and cracked wood that stems from flooding. If you notice any cracks in your ceiling, repair these as soon as possible before a small drip becomes a far larger problem that requires you to replace your drywall. Maintaining your home's structure with regular checks can help you avoid the cost of major breakdowns. You can also cut down daily expenses by saving energy. Save on utility bills by choosing energy-efficient light bulbs and always turning off the lights when you leave the room, and make sure that your home is well-insulated from drafts coming in through cracks in windows and doors. It only takes a little bit of extra vigilance to ensure that your home remains in its peak shape over time. This can help you maintain a fully functioning household without the high cost of replacing home appliances or making costly structural repairs.